Scanline VFX, specializing in visual effects, will start its studio in Montreal and create 300 jobs over a three-year horizon. Scanline VFX Founded in 1989 in Munich, now operates studios in Munich, Stuttgart, Vancouver and Los Angeles. This will be its fifth antenna and the third in North America. Geoffrey Baumann will lead the Montreal studio of Scanline VFX. As a visual effects supervisor, he worked on the hit movie “Black Panther” in the Marvel universe. “I’m excited not only to join the Scanline VFX team for the launch of this brand new studio, but also to see that we recognize the talent and creativity that exists in Montreal,” said Mr. Baumann. by press release. It should be noted that Geoffrey Baumann was able to familiarize himself with Montreal earlier this month when he was visiting to present his expertise at the Effects MTL conference. 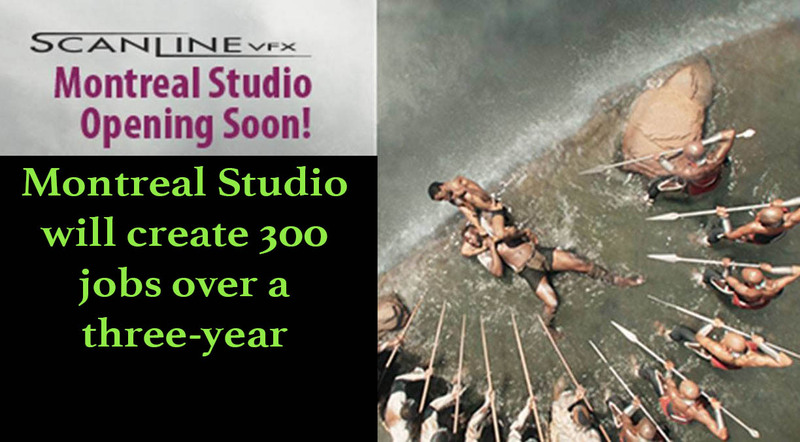 Scanline VFX has shone in Hollywood in recent years, being nominated for Oscars for the films “Captain America: The Winter Soldier” and “Beyond” by Clint Eastwood. In her portfolio, she also includes projects such as Season 4 of the “Iron Throne” as well as feature films “Iron Man 3”, “Tomb Raider” and “The Justice League”. His teams have also worked on such films as “Ant-Man and Wasp”, “Aquaman”, “Captain Marvel” and the final season of the “Iron Throne”. She also earned a scientific and technical excellence award for Flowline, the fluid simulation software she created.